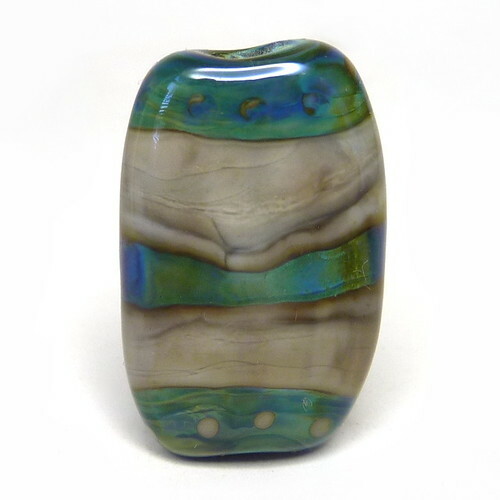 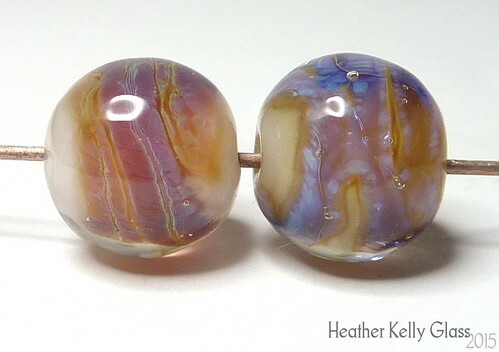 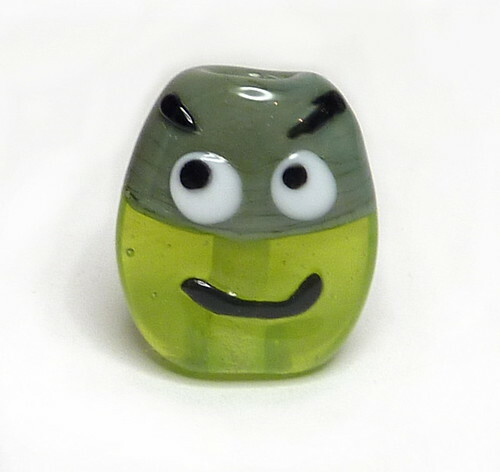 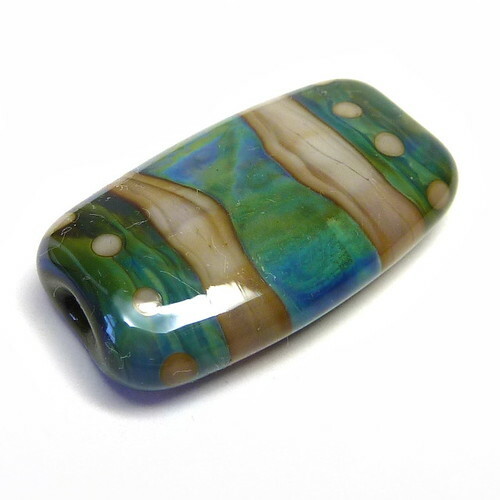 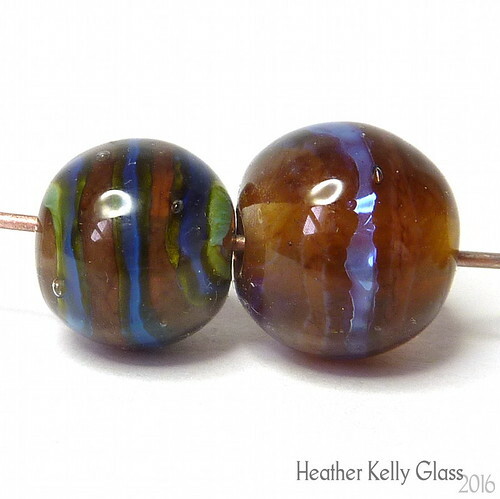 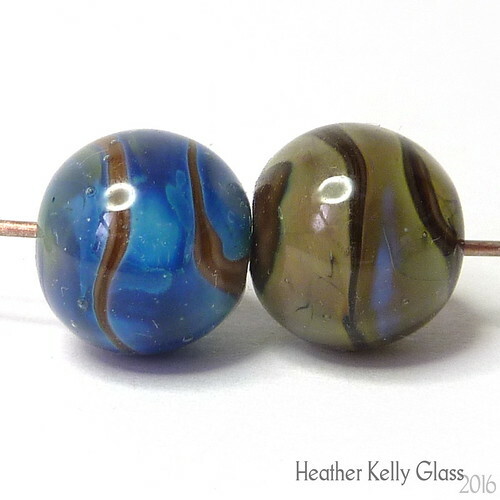 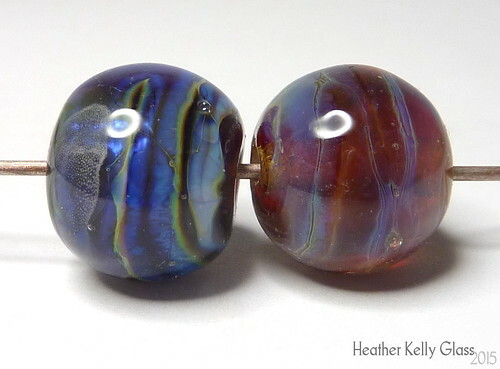 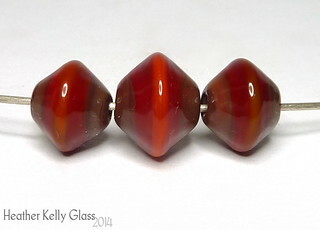 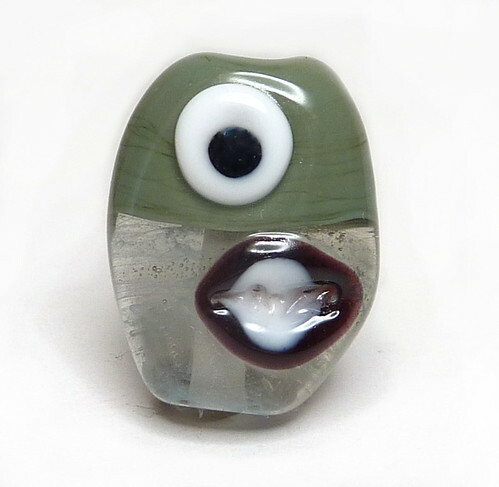 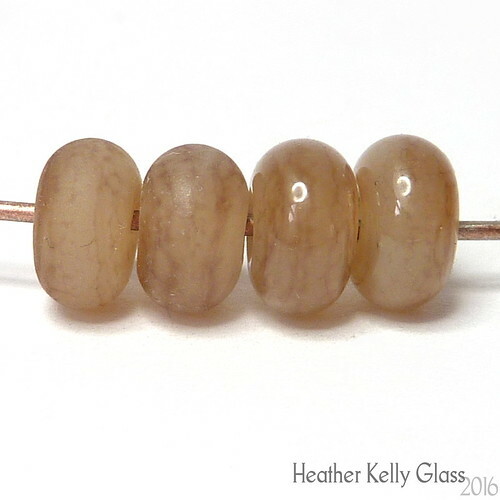 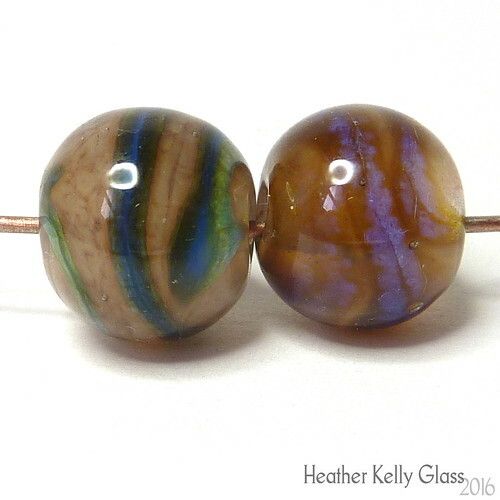 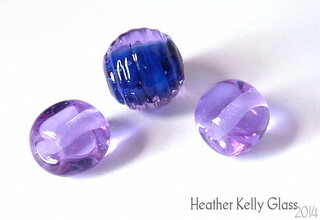 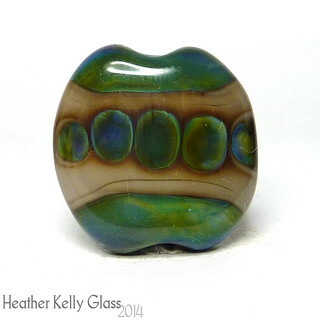 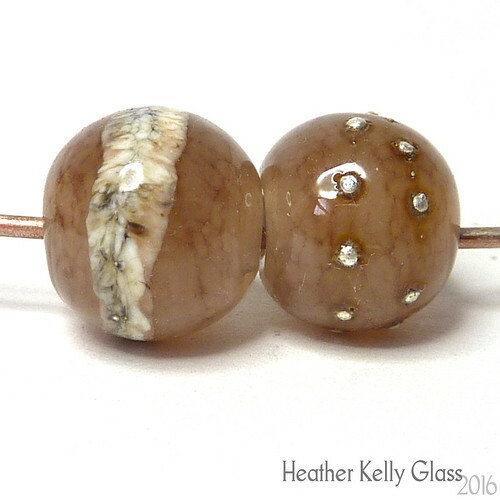 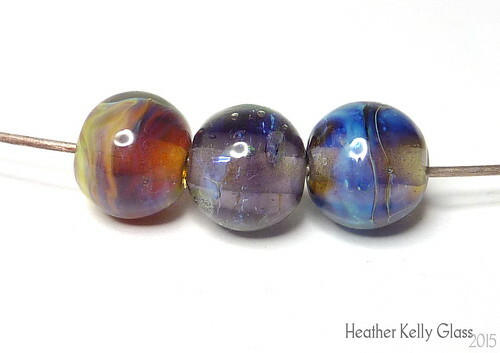 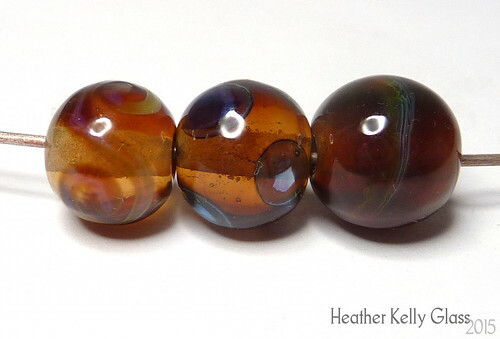 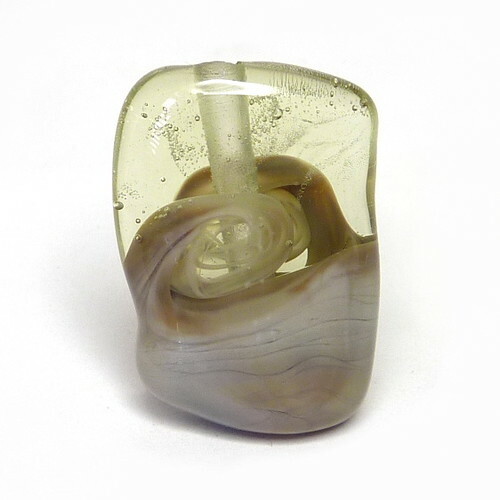 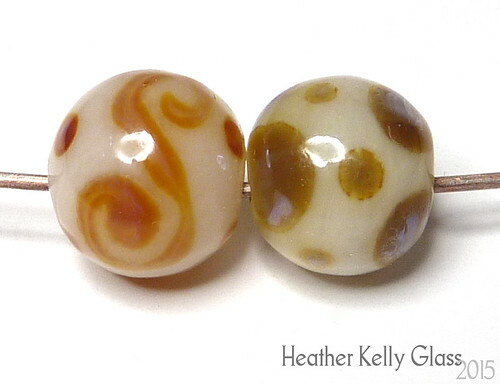 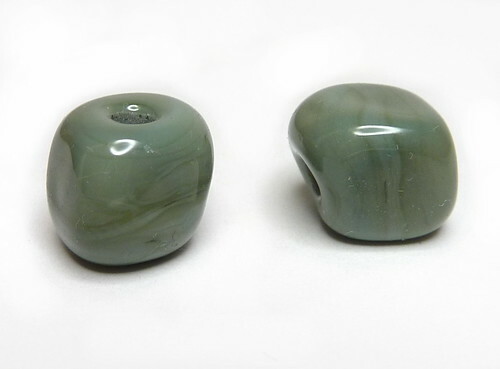 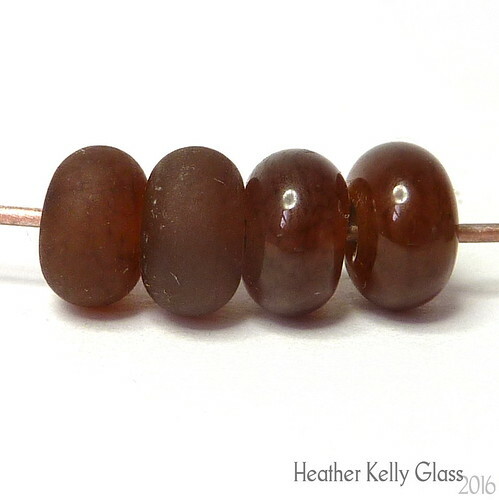 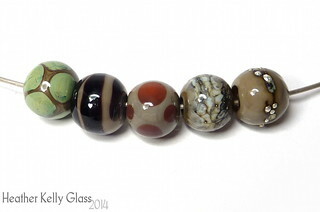 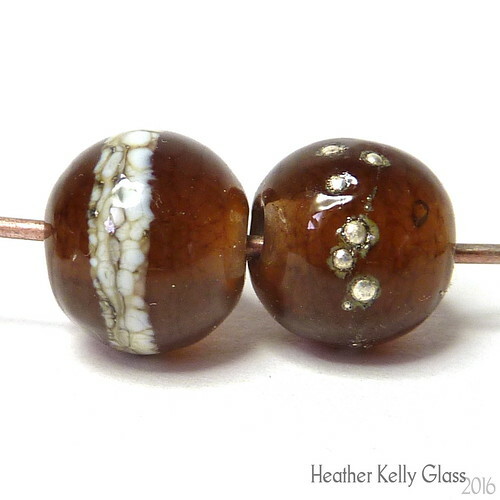 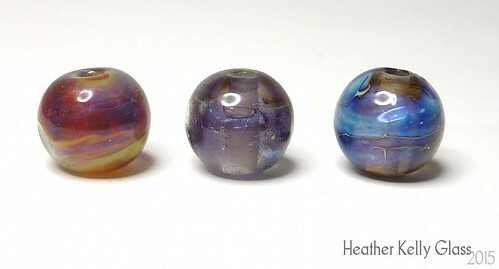 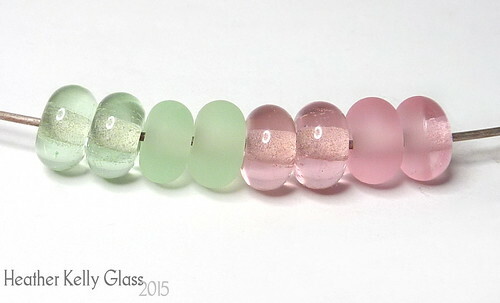 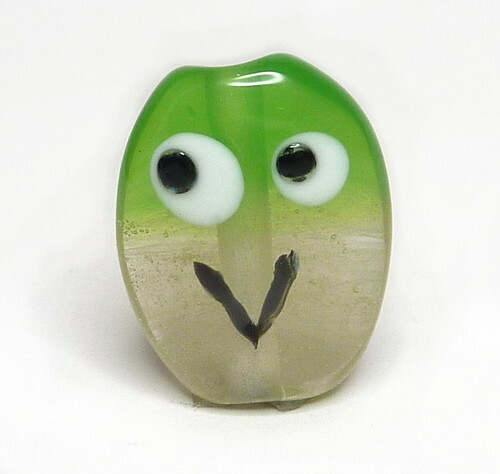 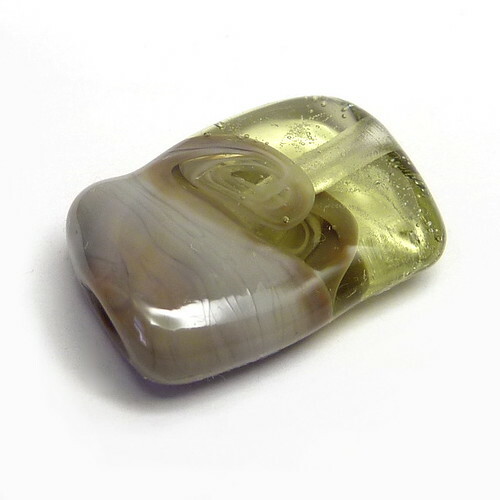 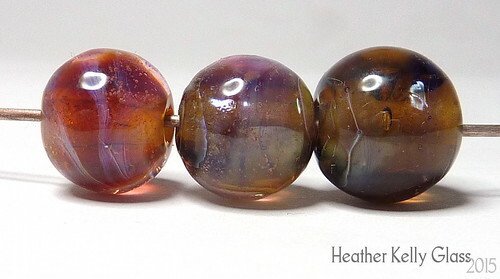 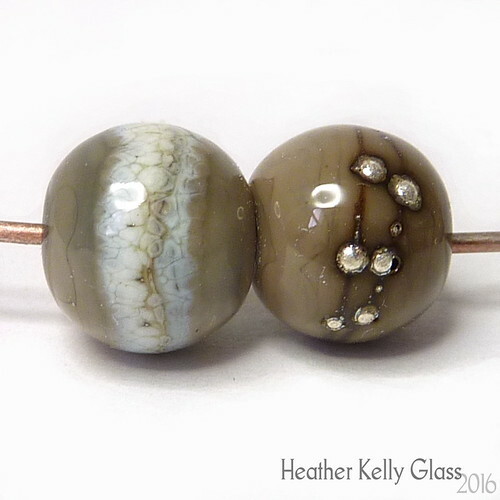 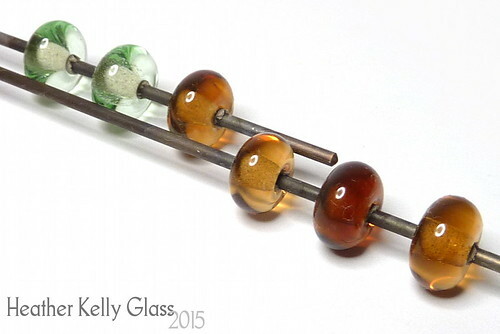 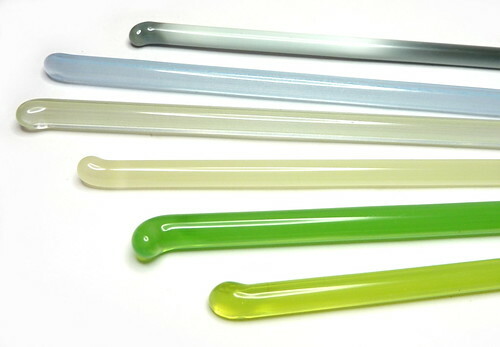 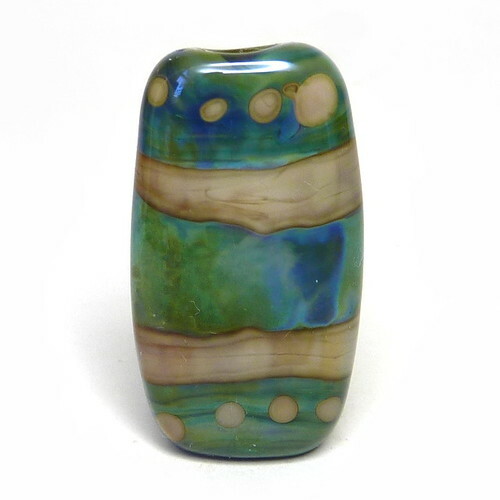 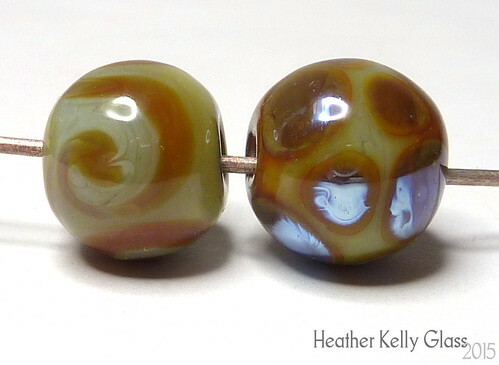 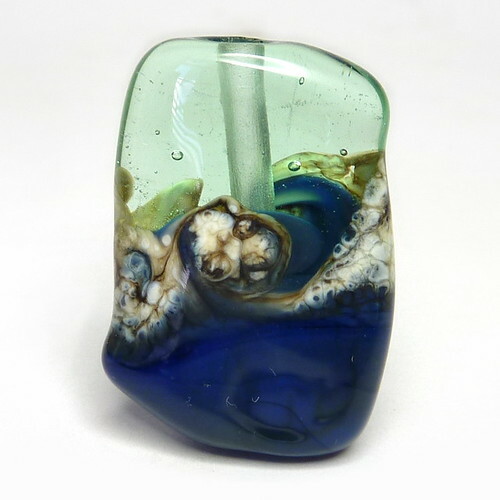 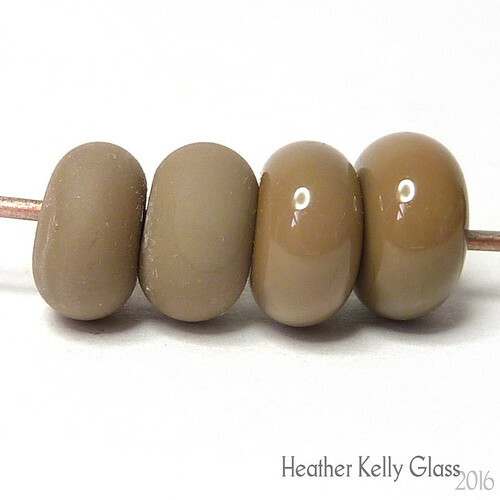 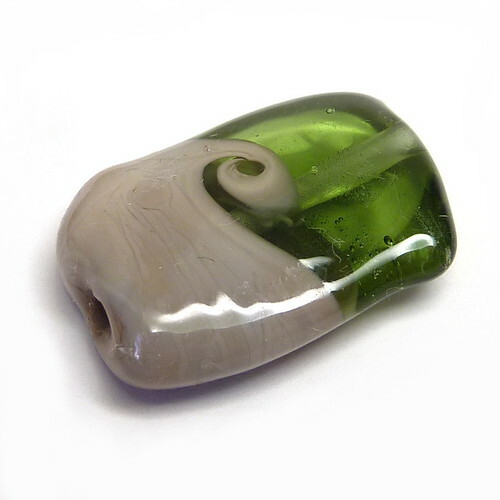 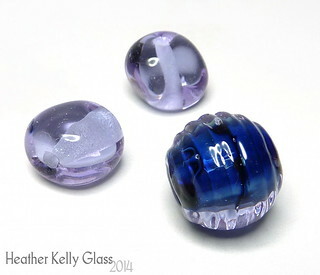 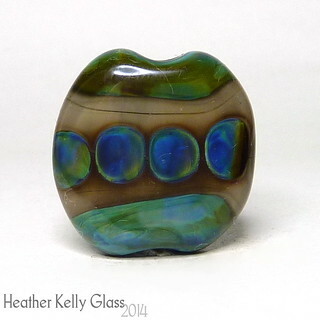 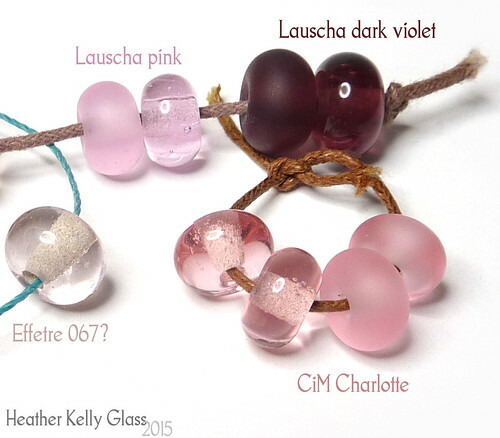 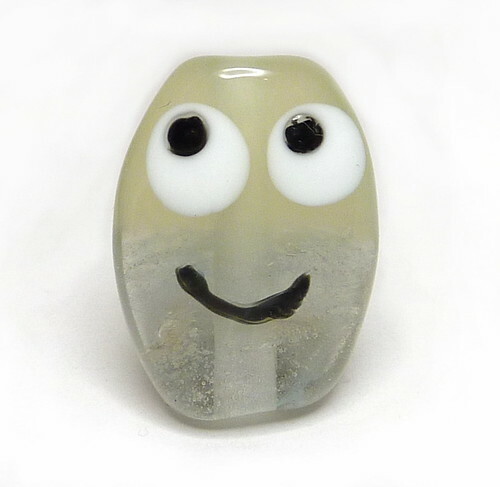 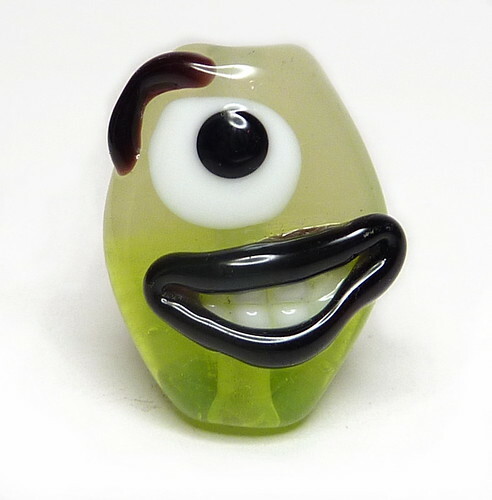 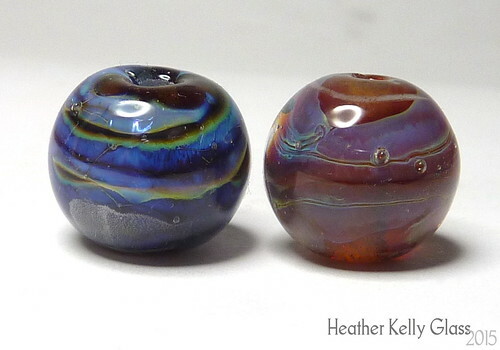 The main beads in these are two of my silver glass lampwork beads that were greenish. 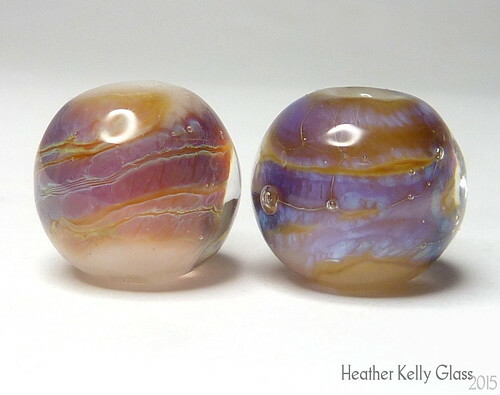 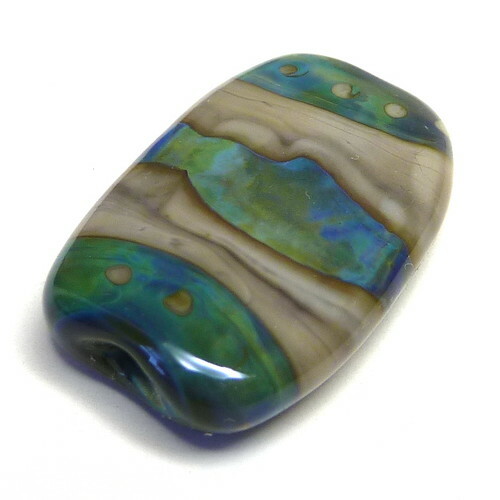 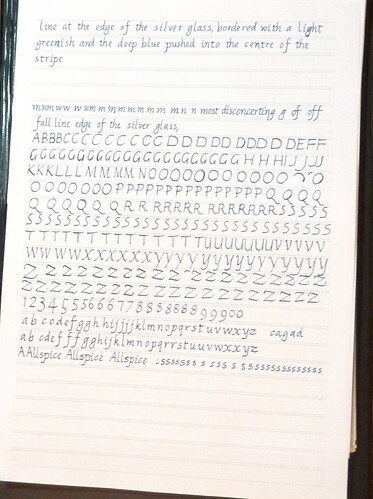 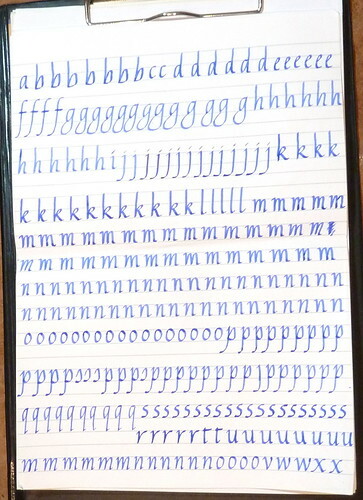 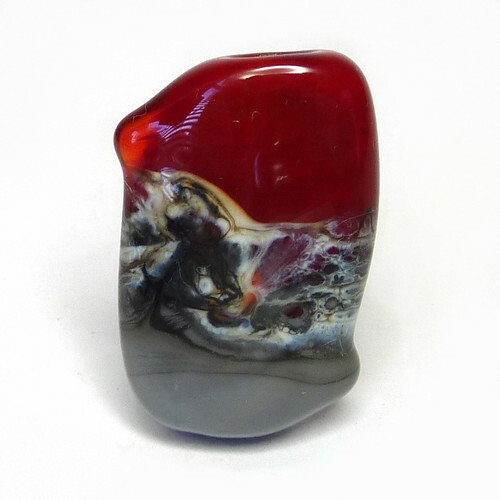 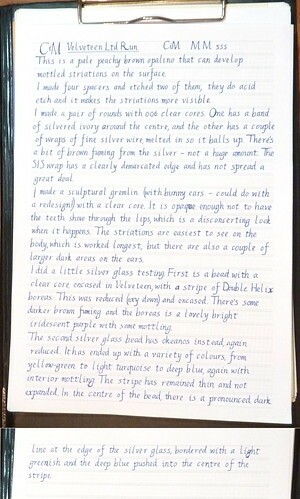 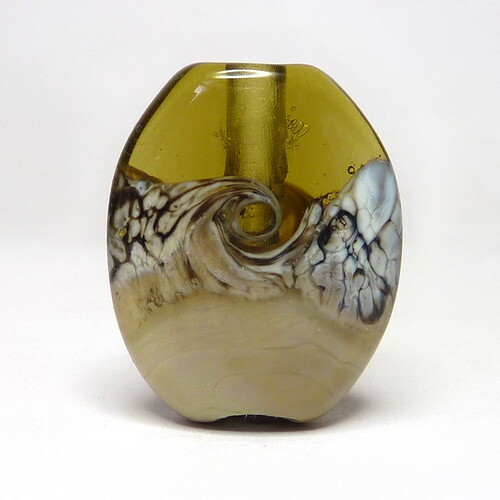 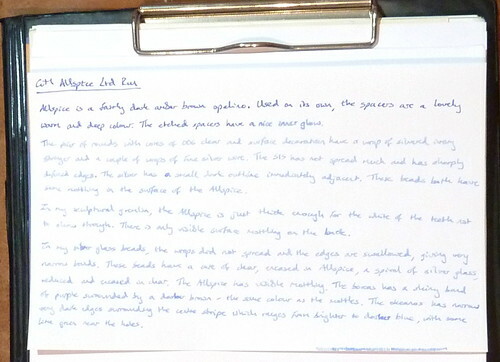 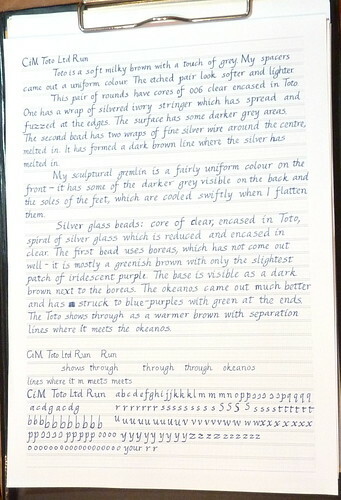 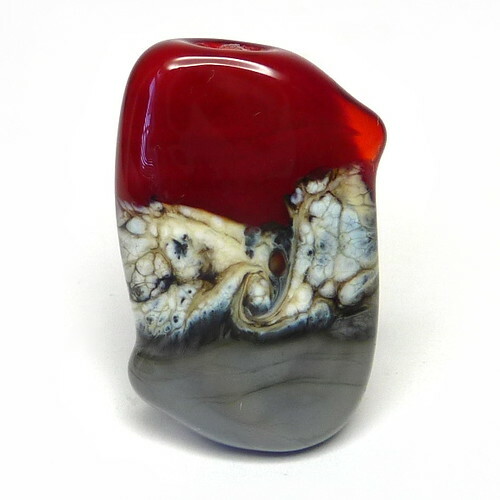 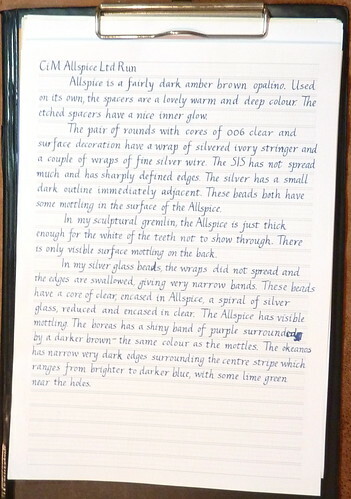 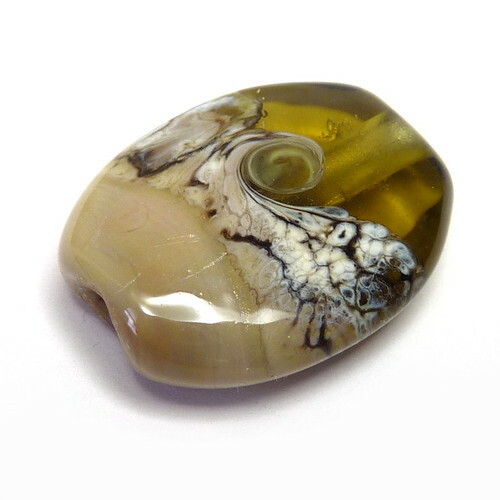 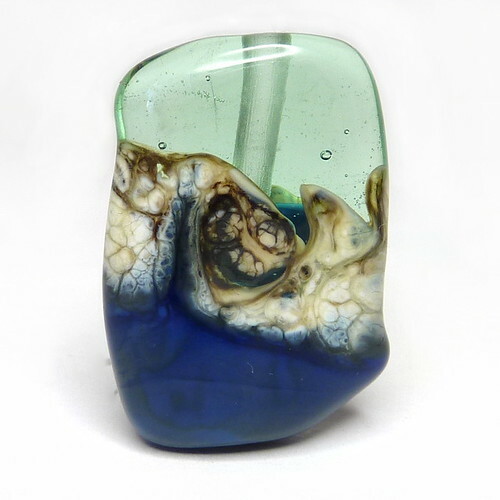 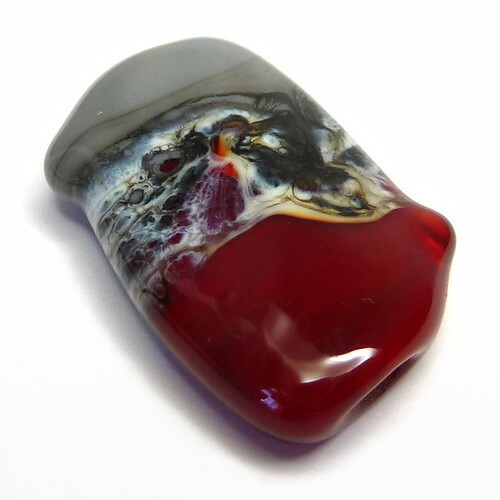 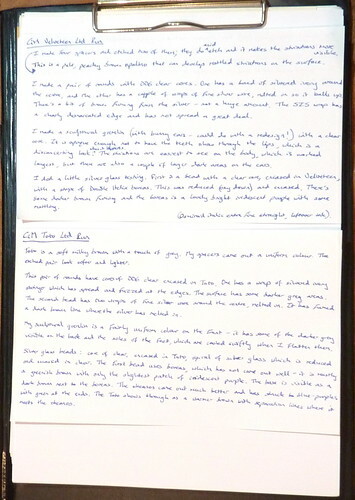 One is opaque and darker, with swirly cloudiness. 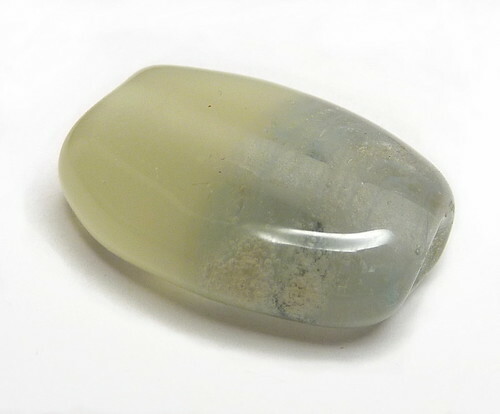 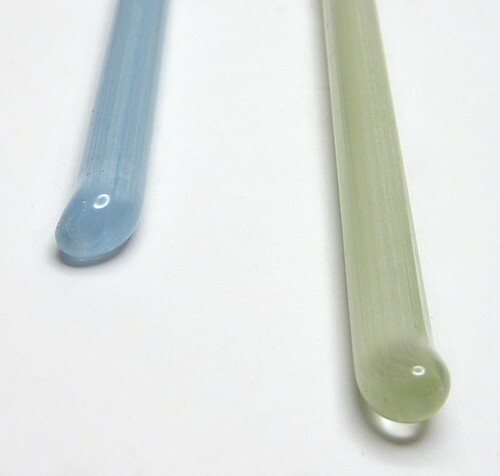 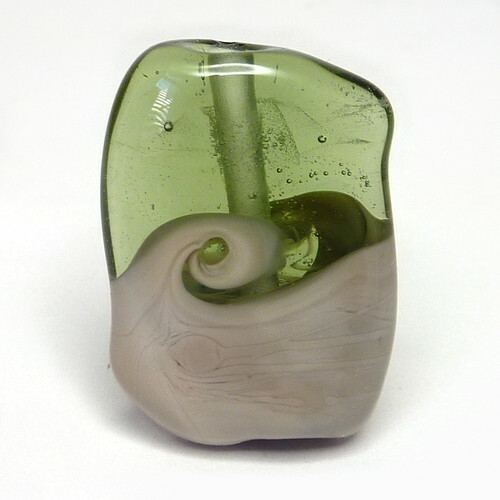 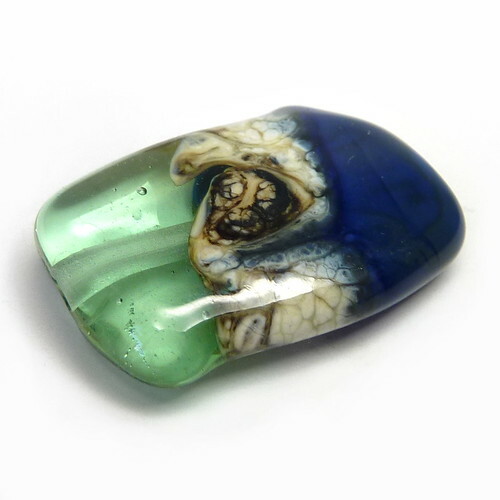 The other is brighter transparent green with a peacock iridescent spiral around it. 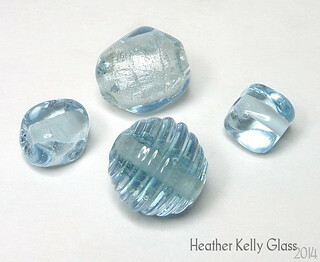 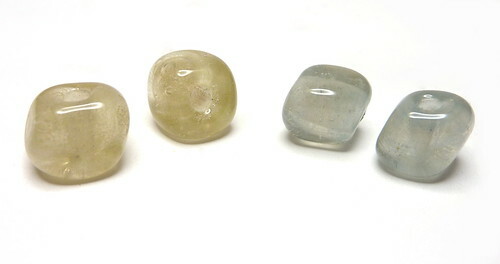 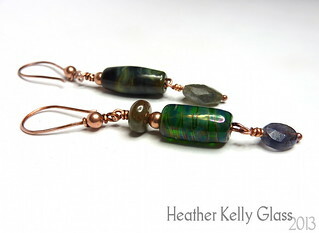 The dangles at the bottom are faceted labradorite. 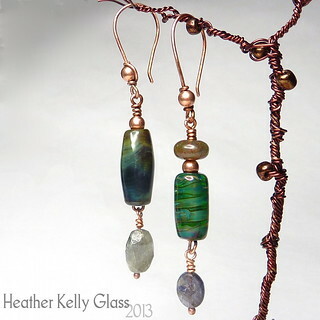 I wire-wrapped everything in copper. 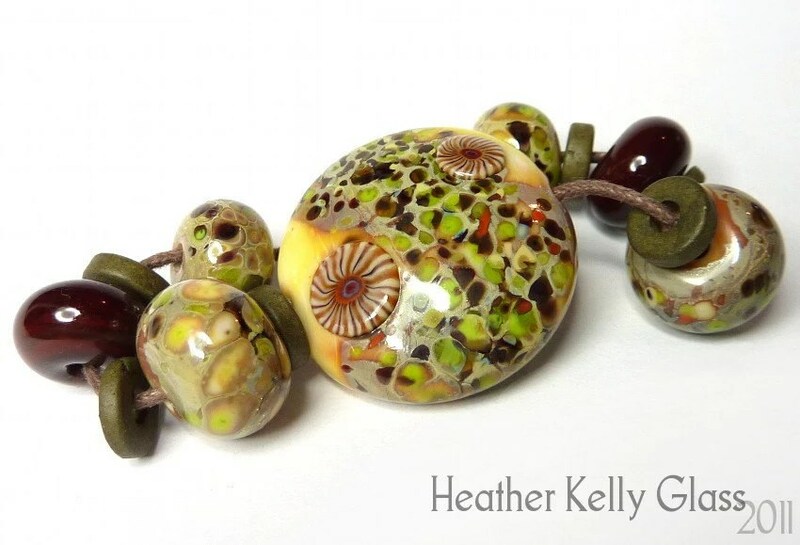 There’s a small Indian agate rondelle in greenish brown alongside the green lampwork, and I added some little hollow copper beads in too, with two of them wrapped onto the earwires.